It was a controversial quote, to be sure. It was 1977 and it was spring training. Reggie Jackson had just signed with the Yankees as a free agent–and this wasn’t exactly the way to win over his teammates. The Yankees were quite a good team before Jackson, but had just been swept by the Big Red Machine in the 1976 World Series. Jackson thought they needed one more piece–one more “ingredient.” But legend has it, it was Ward who noted that all the ingredients were already in place, like a well-constructed cocktail, and just needed the straw to stir it all up. 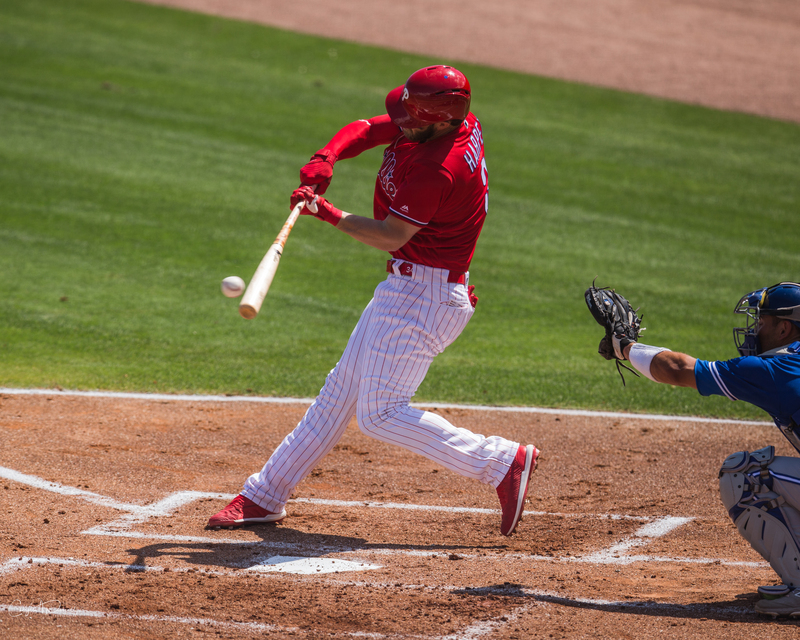 The Philadelphia Phillies made a big splash in the 2019 MLB free agent market by signing outfielder Bryce Harper. The fan base in southeastern Pennsylvania suddenly came alive with the hopes of the return to relevance of the Phillies. The somewhat late signing intensified the significance for many of the fans. The puzzle–OK, drink–had already been constructed. Important ingredients–like a smooth-fielding and solid-hitting shortstop, a veteran outfield bat and clubhouse presence, and perhaps the best catcher in the game–had already been added. All they really needed was the straw to stir it up. One final, important, piece. One other thing about a straw: It rises above the rim of the glass, like a lightning rod. While everything is chugging along swimmingly the straw can just keep on stirring, while the drink is there to support him. And as the big name and the final ingredient, Bryce will get a lot of the credit. But when things go bad, I think Harper can also be the guy to absorb the lightning. He can do the interviews and take the blame and whatever else might happen when adversity inevitably strikes for the 2019 Phillies. He seems comfortable in that role as the face of the franchise for better or for worse. He can take the attention off guys like Zach Eflin, so that they can go out and perform without the hype that Bryce will absorb. And if Bryce goes 0-for-4 one night, with three strike-outs, in a loss, he can wear that out front, while the rest of the team adjusts and comes together. He’s the straw. And, he’s the lightning rod. This Phillies team has been constructed very, very well–even before he got here. We’ll see where it all goes. It should be a fun ride. Reggie Jackson went on to win the MVP of the 1977 World Series, as the Yankees defeated the Dodgers in six games. Indeed, an important ingredient to the team, in addition to all the stirring. Kram’s Korner is a column which will appear on most Wednesdays and Fridays during the AAA IronPigs season, usually with news and notes on the 2019 IronPigs and 2019 AA Reading Fightin Phils.